Hogsback must be one of the most beautiful areas in the Eastern Cape and one of my favorite destinations in the province yet it's been a good decade and a half since I've last been there. Every year the Damselfly and I threaten to go for a weekend but every time we end up going somewhere else. Not that difficult with all the travel options the Eastern Cape has to offer. But this time the decision would be carried through though. It was time to show the KidZ what Hogsback looked like. Arriving in Hogsback late on the Friday afternoon there were clouds over all the mountain tops but otherwise the weather was cool and nice. Saturday morning I woke up to the sound of rain and opened the curtains to a sheet of white. Not snow, if only, but rather a thick fog hanging on and around everything. 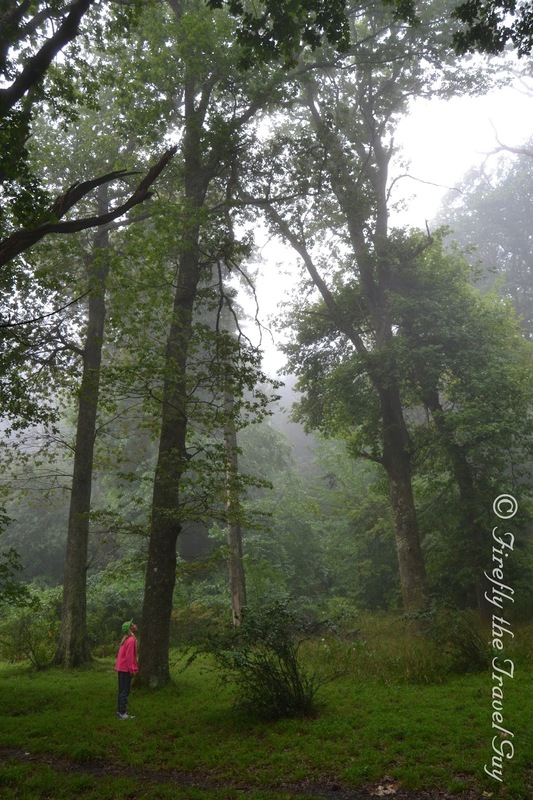 We weren't going to allow a sheet of white and a constant drizzle to put us off though so after breakfast it was exploring time with the Arboretum being first on the itinerary. The Arboretum is a garden, or rather more a park, of trees from all over the world, each marked showing their botanical and common names. Probably one of the biggest, literally and figuratively, features of the garden is several Californian Redwood trees of well over 100 years old. We parked at the Village Green and took a nice easy stroll through the garden but I kept on falling behind as I was taking way too many photos of drops on flowers, ferns and spider webs. Following the right paths and signs brought us to the first of our waterfalls for the weekend. 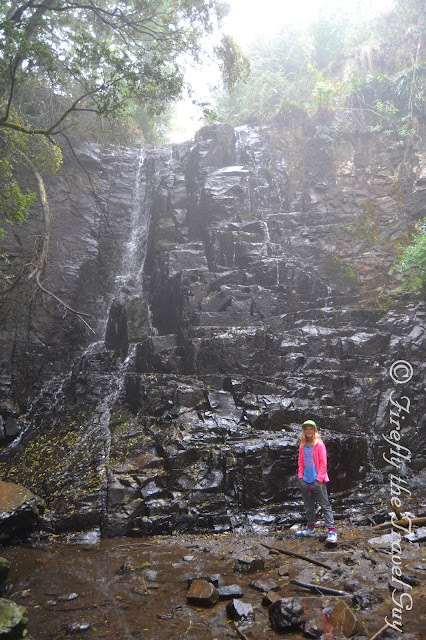 39 Steps is probably the easiest waterfall to get to in Hogsback and cascades down a series of steps at the top of the garden. The area hasn't had the most rain lately so the waterfall isn't anywhere as spectacular as usual, but still beautiful. 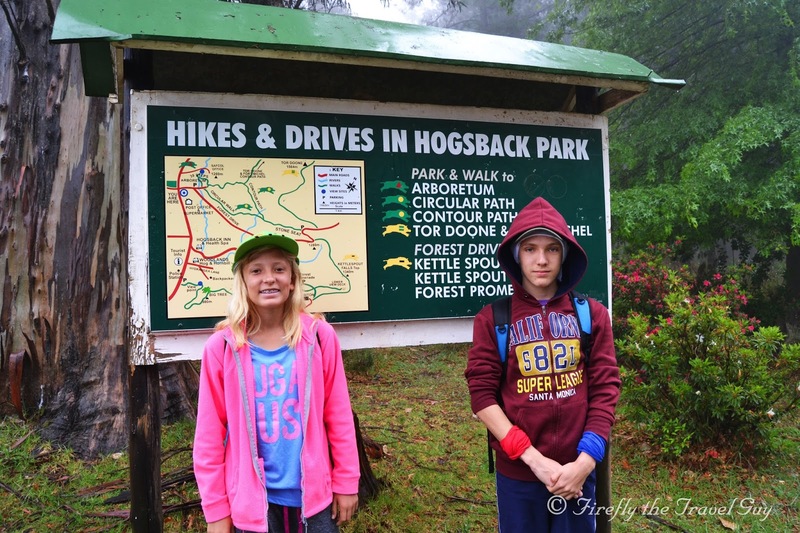 The next stop wasn't one of Hogsback's conventional attractions but rather one we wanted to show the KidZ. The village library. 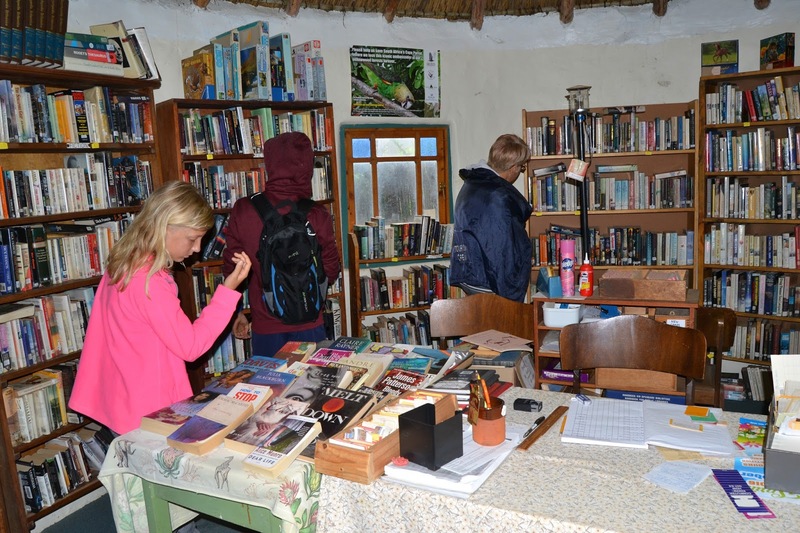 Hogsback's library is housed in a rondavel on Redcoat Lane and must be one of the smallest libraries in the country. I'm sure my bookworm son would easily rather have stayed here than venture around to waterfalls in the rain, but all we allowed him was a quick look around. According to the librarian the building was originally used as a butchery but I think the location and setting lends itself a lot more to a library than butchery. 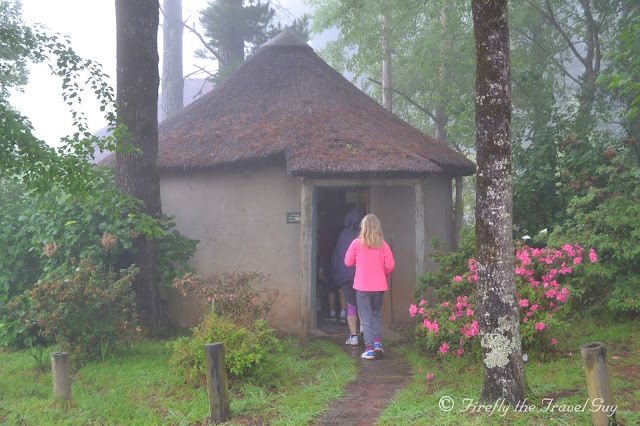 With the raining weather we could easily have opted to rather work our way around the village with all its artist studios and galleries but how can one visit Hogsback and not visit the Madonna and Child Waterfall in the forest. 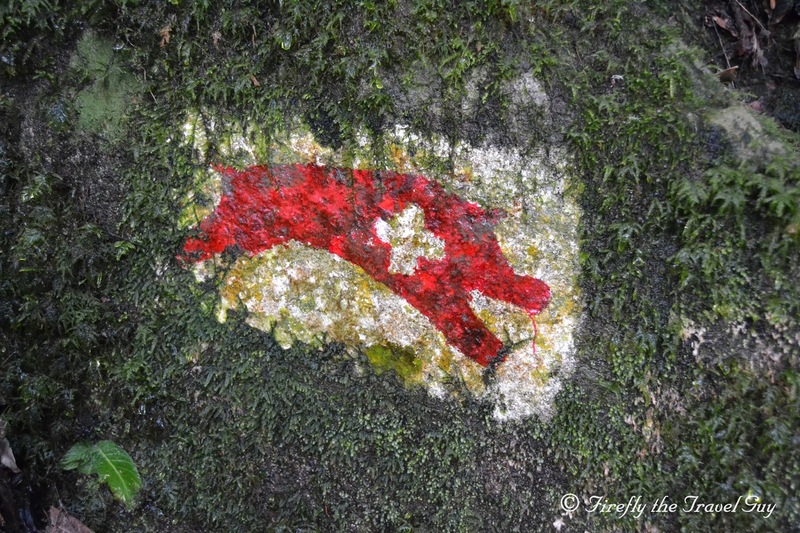 With a warning of a steep and slippery path from the lady in the tourism info office, we took the drive down Wolfridge Road and parked at the start of the trail. From here we followed Hogsback's famous piggy trail markers down into the forest and even though it was wet and slippery, nobody landed on their b-hinds. 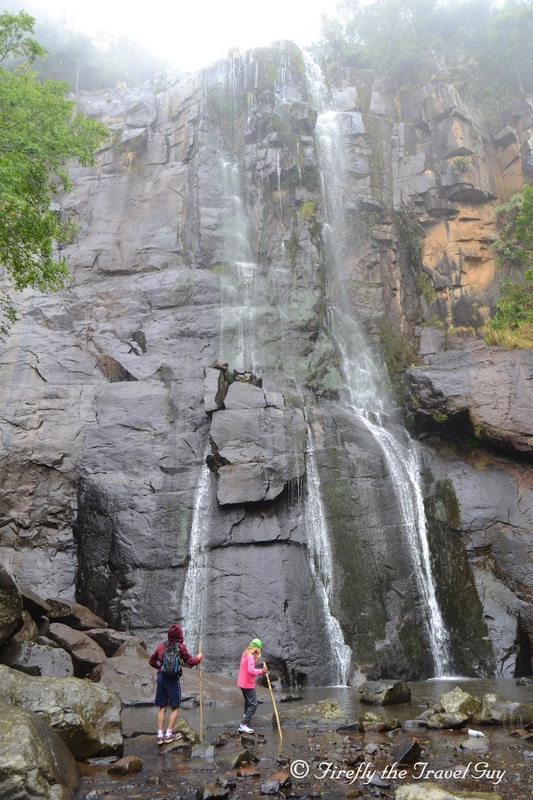 Madonna and Child may be one of many waterfalls in Hogsback, but it's definitely the most iconic of the lot. A beautiful setting right in the forest, the water falls down the sheer cliffs into the pool below before rushing off into the forest again. 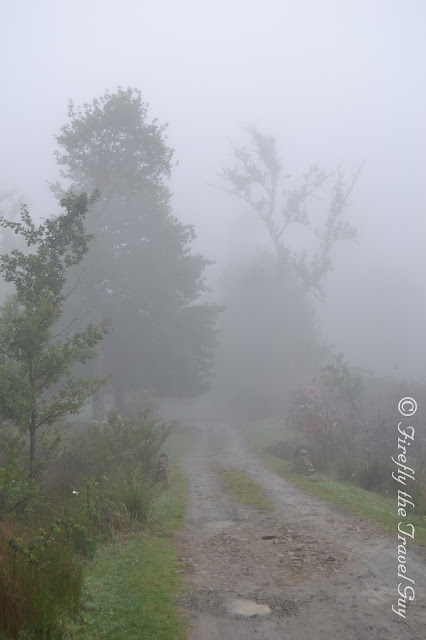 Looking around one can easily see why it is claimed that part of JRR Tolkien's inspiration to write The Hobbit and Lord of the Rings came from Hogsback. It feels like there could easily be fairies hiding under the ferns, a hobbit waiting to jump out from behind a rock or a dragon somewhere down the gorge. While the KidZ explored a bit I went in search of the Geocache hidden at the falls, but then it was time to head back to the trees as the rain started coming down again. 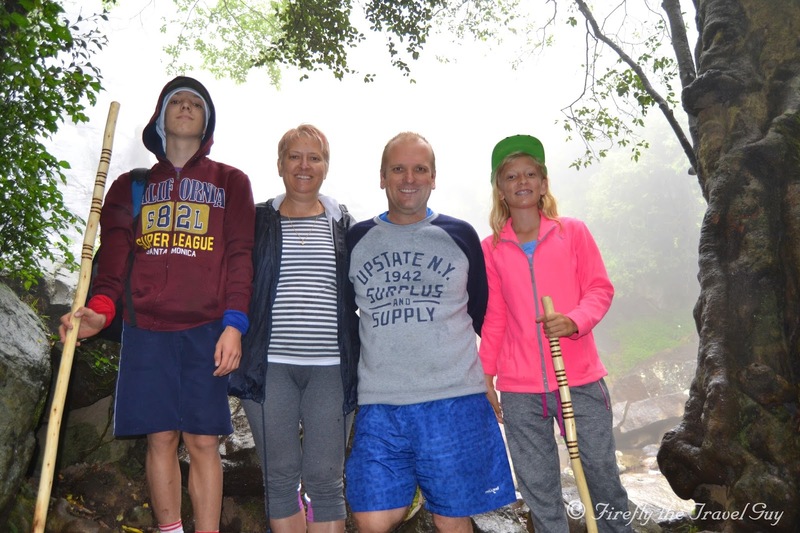 We did have a chance to mount the camera on a rock and grab a family picture before making our way back up the path to the car. Although I really wanted us to at least visit the Kettlespout Waterfall as well, the weather had the final say on the day and we decided to throw in the towel as far as waterfalls go. The Kidz got excited because they though it meant we would head back to our self-catering unit with its fireplace and Dstv. 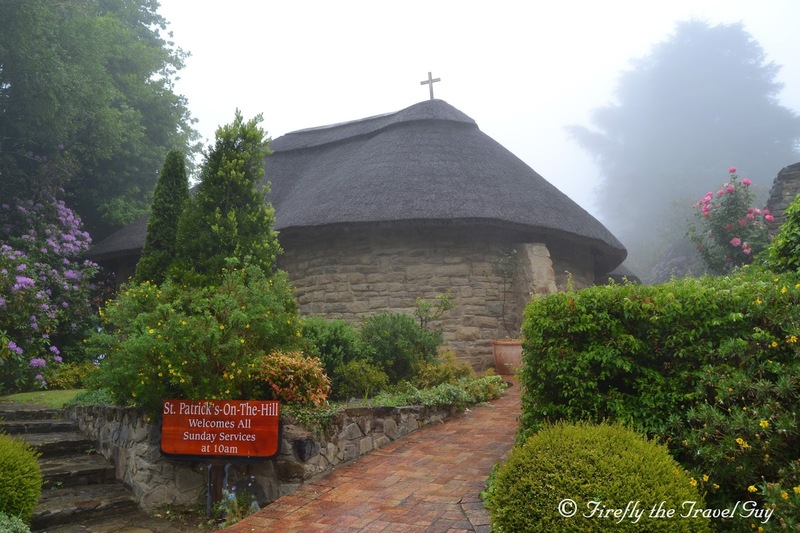 Wrooongggg... Our next stop was St Patrick's on the Hill church with its beautiful colourful gardens. Although the church is Anglican, services are shared by the Presbyterians, Methodists and N.G. Kerk every Sunday morning at 10am. 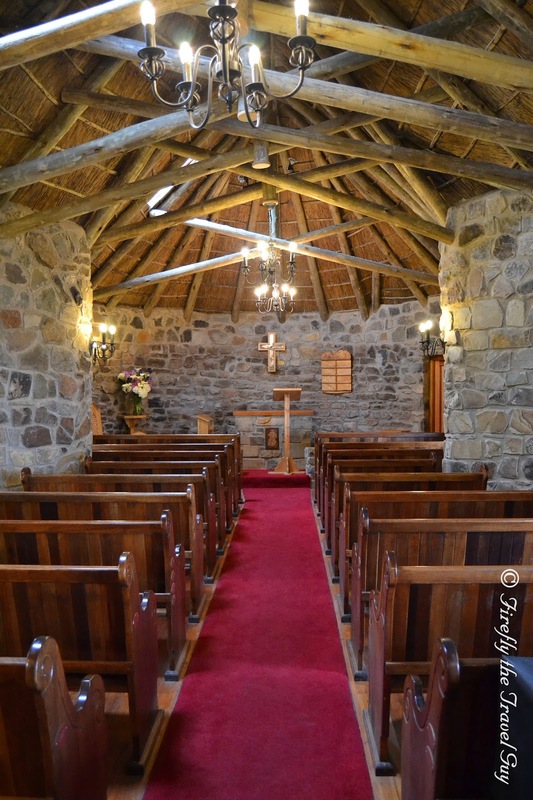 It's also a very popular wedding venue and can one ask for a more beautiful place to get married in than Hogsback. The one thing that I found very interesting is that the church is open 24 hours a day and everybody is welcome to come and spend some time here in prayer or meditation. Talking of meditation. 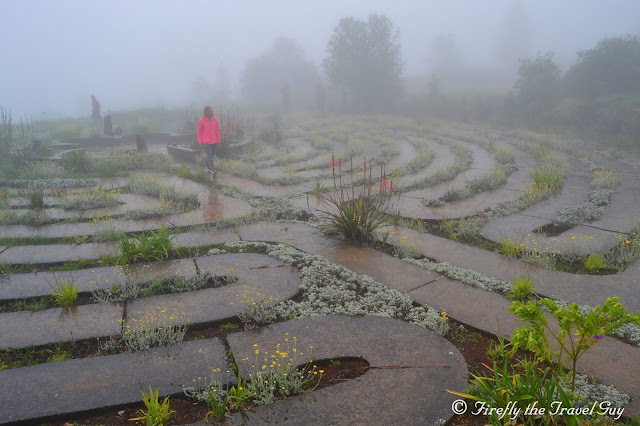 Our last stop for the day was at the Labyrinth at The Edge. Unfortunately we could not see the actual edge nor the stunning view from here but the KidZ did take on the labyrinth. What is the difference between a maze and a labyrinth. Although the two terms are basically synonymous, there is a difference. In this case a maze refers to a complex branching multicursal puzzle with choices of path and direction, while a unicursal labyrinth has only a single path to the center. A labyrinth in this sense has an unambiguous route to the center and back and is not difficult to navigate. So with this mouth full I watched the KidZ try and cover the distance to the middle as quickly as possible although generally a labyrinth is supposed to be covered slowly and in a state of meditation, prayer or deep thought. We returned to our abode, dried off, warmed up and took it easy for the rest of the afternoon in the hope of perhaps getting in some more walking and waterfalls the next morning. The last picture in the post... was taken that next morning. Needless to say, we stayed in and got up later before the drive back home to Port Elizabeth. 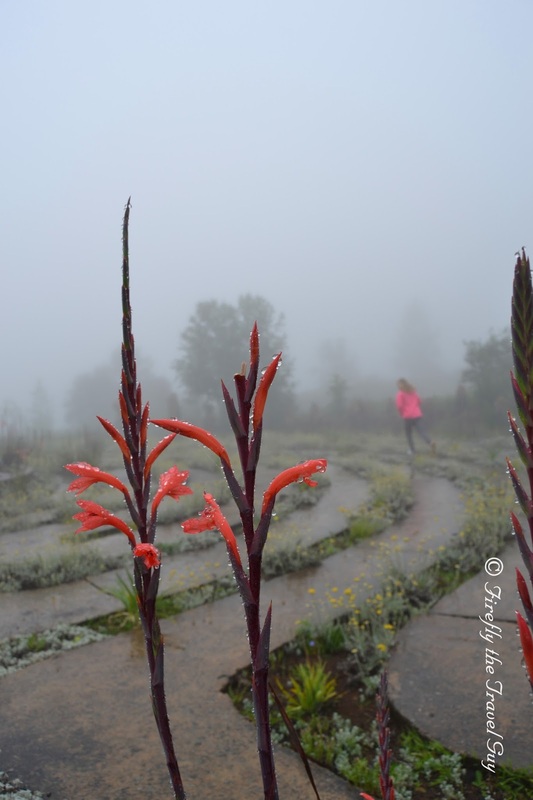 It does mean though that we seriously want to get back to Hogsback for the chance to explore a bit more in drier conditions. Doesn't mean though that we didn't have a great time cause who can't when they get to visit a fairy wonderland of forests and waterfalls, even if it rains all weekend. Disclosure - The weekend spent in Hogsback was a family weekend done so at our own cost. Our accommodation at the Arminel Hotel was covered by a voucher I won in a lucky draw at a tourism trade workshop but otherwise nobody invited us nor influenced where we went of what went into this post. 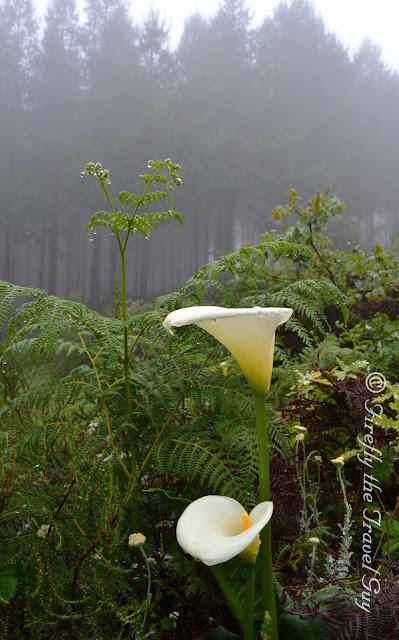 I don't know why but when I think of Hogsback I either think of streams and waterfalls or forests, ferns, lilies and fog. I think I nailed the latter in this picture.